Celebrate life after 50 with a scrapbook of Red Hat memories. A Red Hat scrapbook is a great way to honor all the fabulous women in your life. The Red Hat Society is a social club for women to come together to celebrate the bonds of sisterhood. The group was started by Sue Ellen Cooper of Fullerton, California, who was inspired by Jenny Joseph's poem Warning and the narrator who plans to wear a red hat and purple outfit when she is an old woman. Sue Ellen Cooper created the Red Hat Society to encourage women to embrace their sense of humor as a tool to make new friends and better cope with the challenges of life after 50. The Red Hat Society is a group for women who need a chance to relax after spending their whole lives nurturing their spouses and children. Of course, the Red Hat Society also hopes to take away some of the stigma society places upon aging by encouraging women to look at growing older as a fun and exciting experience. 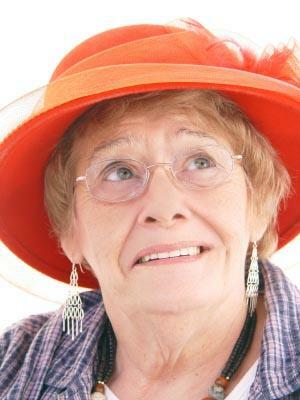 To join the Red Hat Society with full membership benefits, you must be a woman age 50 or over. If you are under the age of 50, however, you can join as "Pink Hatter" and still attend all of the group's events. Red Hat members must attend all group activities wearing a red hat and purple outfit, while members under 50 must wear a pink hat and lavender outfit. To learn more about the Red Hat Society, visit the group's website. Members of the Red Hat Society attend tea parties, dances, lectures, classes, and other fun events that are worthy of preserving in a special scrapbook. Whether you decide to create a full size 12x12 album or a smaller 6x6 mini book, scrapbooking your Red Hat memories ensures that you'll have a treasured keepsake for many years to come. Why did you decide you join the Red Hat Society? What has your membership in the Red Hat Society meant to you? What is your favorite Red Hat memory? How do you embody the Red Hat motto of being fabulous after 50? The Red Hat Society store has a Red Hat Society line that is perfect for any Red Hat scrapbook. Available products include papers, stickers and other embellishments. If you're interested in rubber stamping and scrapbooking, Texas Crafters Treasures has a large selection of stamps that would be appropriate for any Red Hat project. My Memories carries a Red Hat digital scrapbooking kit with everything you'll need to design your page. If you're not interested in creating digital layouts, simply print the designs onto acid-free cardstock for traditional scrapbooking. ScrapbookScrapbook has links to printable graphics that can be used for Red Hat layouts, handmade notecards, or party decorations. Regardless of what supplies you use to create your scrapbook, remember that the Red Hat Society is fun, sassy, and playful! Don't be afraid to think outside the box to create an album that's as quirky and unique as you! For more ideas on how to create a memorable Red Hat scrapbook, pick up a copy of Designer Scrapbooks the Red Hat Society Way.